The A1 Hotel is perfectly located for both business and leisure guests to Moscow. All hotel's 29 guestrooms have all the conveniences expected in a hotel in its class to suit guests comforts. 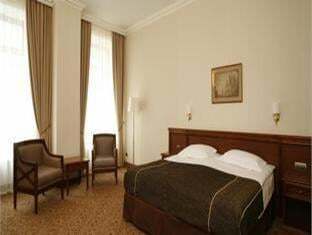 All of the guestrooms are replete with air conditioning, bathrobes, desk, hair dryer, internet access (wireless).To suit guests' convenience, this Moscow accommodation offers coffee shop, laundry service/dry cleaning, concierge. The hotel provides a warm and welcoming service of international standard. To proceed with your booking at the A1 Hotel, simply choose your travel dates and fill in our secure online booking form.